The scene at the Glossier Penthouse in SoHo last night: a garden of fresh pastel flowers covering a bright white centerpiece island, a hip crowd in high-waisted jeans and velvet block-heel booties, almond butter toast triangles with raspberries and kale chips served on a bed of baby kale, and the most beautifully translucent, glowing skin. Everywhere. 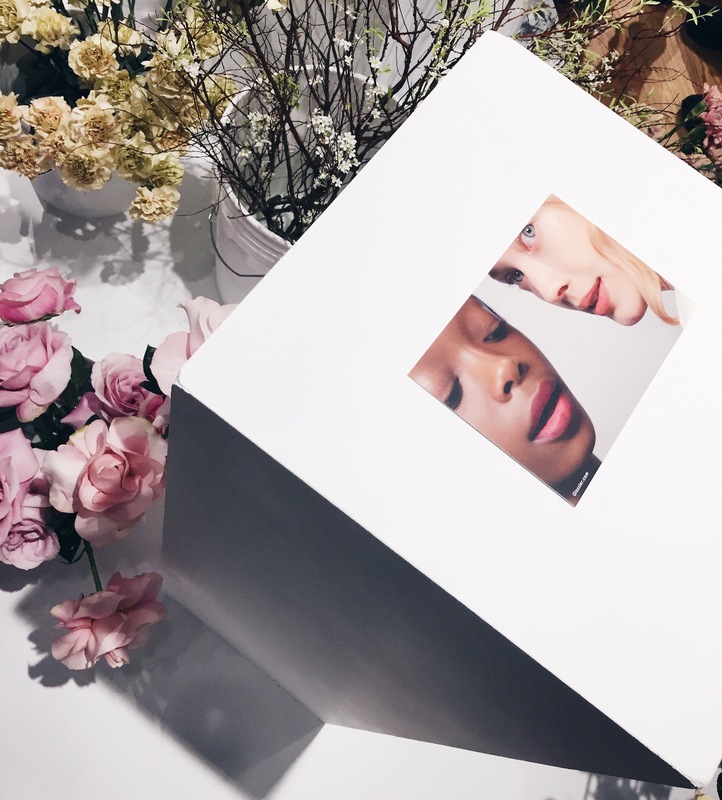 Every person in the room–men and women–seemed to come straight out of Glossier’s campaign for Phase 2, the brand’s new back-to-basics makeup line. Towering in the middle of the room was the presentation of three brilliant products: the Stretch Concealer, the Boy Brow and Generation G matte lip. Stretch Concealer with beeswax, jojoba, cocoa butter and avocado oil blends right into the skin to cover zits, offset under-eye circles, tone down redness. Generation G matte lip four-shade collection coats lips in subtle peach, pink, raspberry, or grape color with a matte finish. If you’re not already familiar with Glossier’s products, they’re all about simplicity and design that allows you to apply both skincare and makeup with simple, easy gestures—a dab, a tap, a swipe, and you’re out the door. While Phase 1 was about Perfecting Skin Tint, Milky Jelly Cleanser and our favorite multi-tasker Balm Dotcom (we use it on lips, face, nails! ), the new additions emphasize the brand’s mission to “take the guesswork out of beauty” further. Glossier, you nailed it once again. Off to order all three items! Phase 2 Set is here: three makeup staples designed to live with you, not on you. Scroll down to learn more, or get instant gratification right now on Glossier.com ?? Watch Us Live on QVC!